In this day and age, it has become the norm to see someone glued to their mobile phones, especially teenagers. In fact, it may seem that teenagers are really addicted to that rectangular handheld device. In 2017, a study which observed 1,500 families composed of teenagers living at home with their parents concluded that the average teenager spent more than 40 full days of the year (or around two hours and 40 minutes a day) browsing their mobile phones, as reported by the Daily Mail. The results showed that teens from Liverpool spent the most time on their phones with 48 days of texting and browsing apps, while teens from Cardiff and Glasgow came second and third, respectively. Teens from London were at the bottom of the list with 37 days. 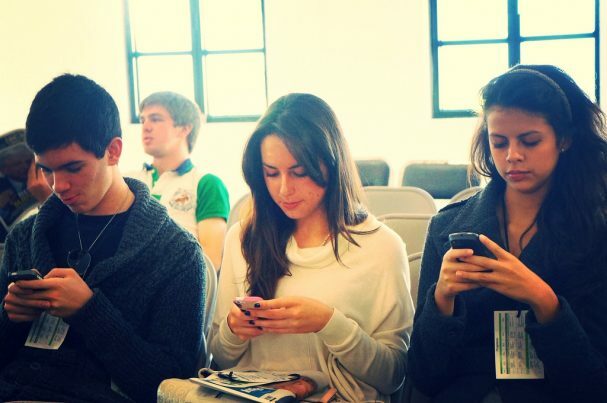 This study showed how teenagers have become dependent to their mobile devices. Moreover, a survey by Common Sense Media, a nonprofit organization that focuses on helping parents, teachers, and policymakers harness media and technology positively, also confirmed that teenagers are so consumed by their mobile phones today that 50 percent of them felt they were addicted to their mobile phones. The 1,240 interviewees were parents with their children ages 12 to 18 who were mobile phone users. In the same Daily Mail article, a study by the Hungarian Academy of Sciences and Eotvos Lorand University in Budapest found that people who considered themselves as heavy mobile device users experienced withdrawal symptoms when taken away from their phones, such as disrupted heartbeat patterns. The participants were 87 smartphone users aged between 18 and 26. They were individually led to an almost empty room with a laptop on a desk and chair and some everyday items like newspapers, a cuddly toy, and a beanbag seat. They were then asked to answer a simple computerized math test with the help of the calculator on their mobile phones for the first set. During the second set, some were given different smartphones while the others were provided with an actual calculator. After finishing the two sets of questions, the participants were given a short break before being asked to complete a series of word games and a questionnaire about their attachment to their mobile phones. During this short break, three quarters of those left without a mobile phone showed signs of stress and displacement behavior like fidgeting and scratching, while 20 percent went towards the cupboard. The results showed that those who were separated from their mobile phones were more likely to display heartbeat patterns often associated with post-traumatic stress disorder (PTSD). On the other hand, the responses from the questionnaire evoked that mobile phones are used to relieve tension and impart feelings of confidence and security. Additionally, Metro.co.uk reported on a study by the Swansea University that people actually experience physical withdrawal symptoms when not using the internet. The researchers measured the heart rate and blood pressure of 144 participants before and after using the internet. Results showed that heavy internet users had an increase in heart rate and blood pressure when they stopped using the internet. Feelings of anxiety were also detected. “We have known for some time that people who are over-dependent on digital devices report feelings of anxiety when they are stopped from using them, but now we can see that these psychological effects are accompanied by actual physiological changes,” said Phil Reed, study lead and professor of Swansea University’s College of Human and Health Sciences in an article by the Swansea University. Read more stories like this on Robotics.news.